A new unmanned aeroplane company specialising in novel airframe and aero engines has been formed to supply the humanitarian aid sector. 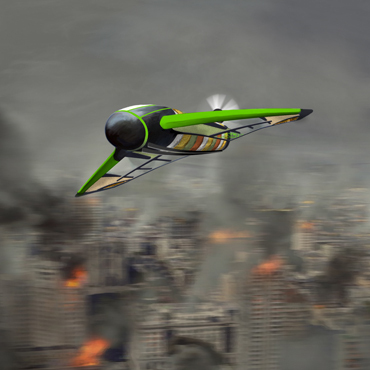 Based in South West of England, Windhorse Aerospace Limited is developing drones made with food components to deliver life supporting payloads of food aid to natural disaster areas. Ozoneering has once again been in the forefront of this development with a new team of agile aerospace professionals. The company also holds a patent for such innovation applicable to all types of airframes and other components. The first airframe is called Pouncer™ and its aim is to address the instant need to deliver food aid into remote, difficult, damaged and broken infrastructures by overflying the difficulties and placing life-sustaining nutrition exactly where it’s needed. The Pouncer™ has an airframe skin made from biodegradable starch-based thermoplastic, filled with spars of compressed and vacuum sealed foodstuffs. The fuselage is filled with the staple diet of those receiving supplies and carries water and fuel for cooking. It is to be produced in various weights to meet differing requirements. Further the aircraft’s capability addresses the indigenous cultural food requirements head on, and turns ‘cash aid’ directly into calories consumed, not unwanted or discarded waste”. “It also replaces the standard (HDR) humanitarian daily ration in acceptability and nutrition, and advances the 2,200 Kcal offering by a long way. 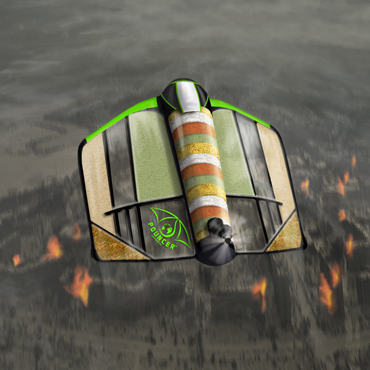 Powered by a compressed air or solid fuel unit, and either launched from a tailgate aircraft at altitude or by a ground based catapult, the flight endurance of Pouncer™ will be up to 100 km to a landing zone fixed by GPS. It will either fly to the ground or use a simple parachute deployed at low altitude to reach those cut off from any ground support. Nearly every component has a nutritional or secondary practical value once delivered. Windhorse Aerospace is collaborating with NSF International, a global public health organisation, to help deliver Pouncer™ as a working reality over the next 24 months.